Pakistan beaten hosts West Indies on Saturday to get 1-0 lead in two match T20 series.West Indies scored 152 runs batting first in 20 overs for the loss of 7 wickets. Pakistan got the target on last ball after losing 8 wickets. 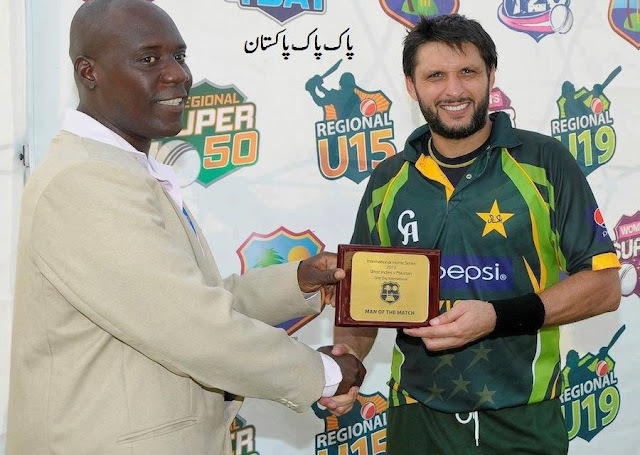 Shahid Afridi was declared man of the match for his 46 runs in just 27 balls. Umar Amin scored 47 runs. Debut boy Zulfiqar Babar got 3 wickets.